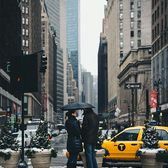 The New York Landmarks Conservancy's Tourist in Your Own Town series explores some of New York City’s best hidden gems as well as some of the classic iconic landmarks. 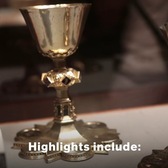 In this video from the series, we take a look at The Cloisters, the Metropolitan Museum of Art branch that houses the collection of medieval Eurpoean art, architecture, and gardens. 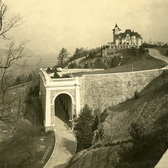 The museum opened to the public in 1938 and was designed by architect Charles Collens to resemble a French Romanesque abbey. 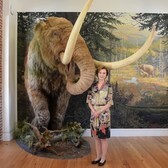 John D. Rockefeller Jr. donated the area for the park, the building and much of the collection. 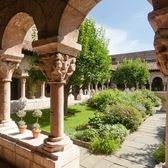 Designated a City Landmark in 1974, The Cloisters Museum & Gardens is your chance to visit Europe without buying a plane ticket. 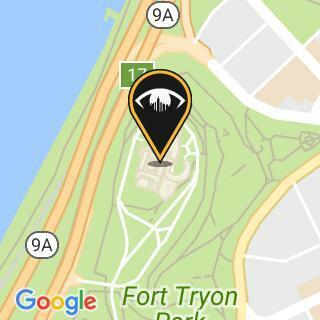 The Cloisters is located in the midst of Fort Tryon Park in Washington Heights, overlooking the Hudson River.